Deck The Halls with NursingCE.com and Win Our Holiday Giveaway! Happy Holidays Nurses, Nurse Educators and Nursing Students! 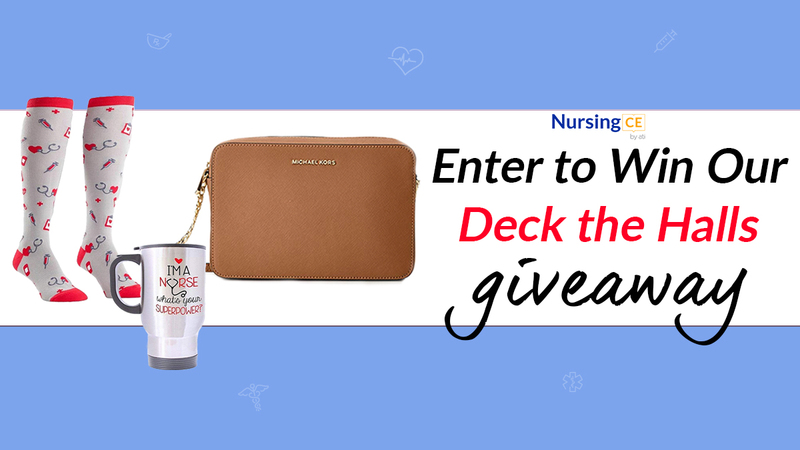 Enter to win our Deck the Halls prize package that includes 1 Michael Kors Crossbody Leather Bag, a pair of funky fun nurse sock and a nurse travel mug. Giveaway ends December 31, 2018 at 11:59pm PST. One winner will be chosen at random.